I took loads of photos all throughout 2018. From portraits to music to food to sports I've added lots of variety to my portfolio and I've enjoyed every moment of these photo shoots. It is hard to narrow down all these moments I captured to pick out my favorites, but there are a few photos that just make me smile each time I look at them. I was riding in a launch, filming the Jefferson University rowing team one morning when is suddenly stopped filming and took this picture. It was one of those instances where I only had a split second to capture this moment- a little earlier or a later and it would've been a very different photograph. 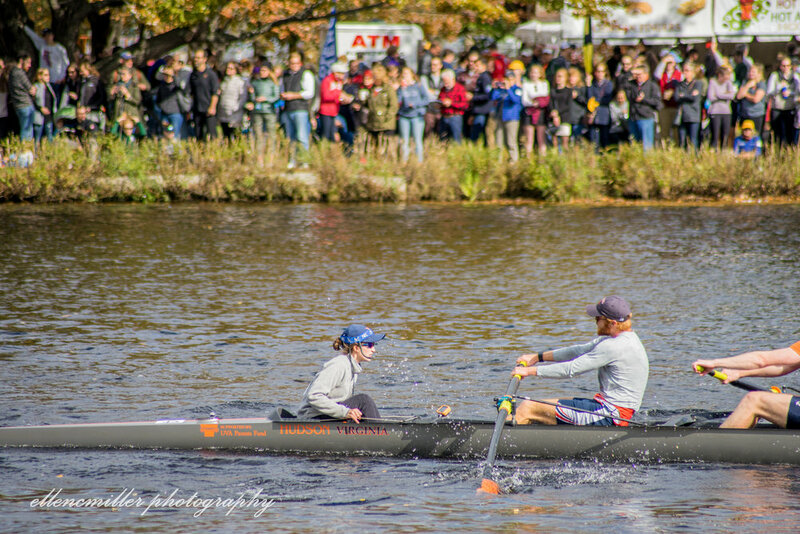 In the fall I finally made it up to Boston to check out the The Head of the Charles regatta in person. I took loads of photos on this weekend but every time I see this photo I just love everything about it. I love the way you can see the oar bending. I love how you can see the coxswain actively steering and talking to her crew. I love the crowd of spectators lining the banks. 2018 began with… The Philadelphia Eagles becoming superbowl champions!! This photo (above) was taken at their championship parade I attended despite the freezing cold weather! Each year I like taking day trips to New York City every so often, just to keep things interesting I suppose. I managed to go up a few times in 2018; sometimes by myself with my camera, sometimes with my family, sometimes to meet up with friends who live there. I’ve taken loads of photos while walking the streets of Manhattan and the one above is definitely one of my favorites. Even before the Eagles became champions, 2018 also began with me beginning to work with Rivercrest Golf Club. I’ve taken photos of lots of different things for the club including lots of food photos. This one is an example of me always trying to bring creativity in to my food photos (and my photography in general). Head of the Schuylkill Regatta 2018 - I was biking back to my car after spending the morning watching the races but had to pull over and pull my camera out from my bag when I spotted this scene. While 2018 compared to previous years was a bit slow in terms of coffee shop adventures. However the ones I did visit were good ones! I finally got around to checking off a few places that have been on my list for way too long and have added some others to the list. 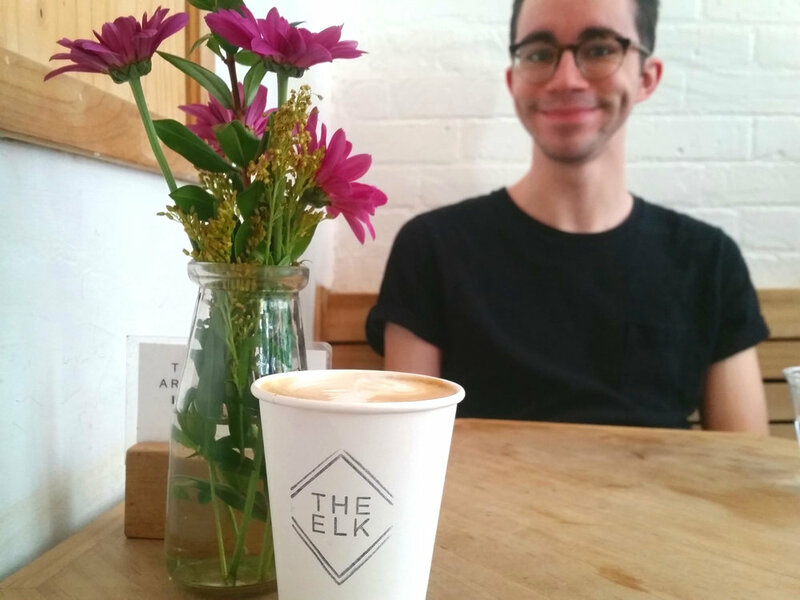 Below are a few coffee shops I visited in 2018 that I enjoyed the most. This place is great. Located in the Germantown section of Philadelphia it is a bookstore/coffee shop owned by Marc Lamont Hill. It is a cool little place to come and catch up with friends or read a good book while enjoying a coffee or hot chocolate. However if you check out their social media pages you’ll see that they also host various events such as weekly movie nights and other things to bring the community together. Bower Cafe took over the old Quaker City Coffee co shop near 10th & Locust st. This little cafe has excellent coffee drinks, along with sandwiches featuring “cured meats” that are brought in from Brooklyn, NY. The cafe itself is super cozy and a quiet place to study or do work. If you’re ever in the M.I.T. neighborhood of Boston I recommend stopping into this place for breakfast or lunch (or a quick coffee and snack time). Their drinks are good and their food is delicious. We found this place has by just walking down the street one day and decided to stop in for a coffee break. It's a small room but with lots of tables and pretty quiet - great for getting some work done or have a nice conversation with friends. This place has been on my list for a while now. So while petsitting in the neighborhood I finally went to give it try... the bahn mi was very delicious and cappuccino was good as well. I only just discovered this place a week or so ago but it’s a great little place. Located right up the street from the East Falls train station this is part flower/gift shop and part coffee shop. On the gift shop side they have some nice candles and little gift things (a good place to discover right before the holiday’s). On the coffee shop side, they have a excellent coffee and tea drinks, and their bakery items are delicious. They also have a nice little green house space with tables so you can sit and catch up with friends over a cup of coffee. I’ve grown to love taking “food portraits” over the past 12 months! Back at the start of 2018 I began getting working with a local golf club that also got me doing food photography on a more professional level. As I look back on all the food photography I’ve done this year I can definitely see loads of improvements between January and December. So while thinking up some fun “year-end” posts I’ve picked out my favorite five food photos, to make your mouth water. This is a more recent photograph, taken on Thanksgiving eve at Rivercrest Golf Club. Action shots like this is what make being a food photographer really fun! When I look at this photo I see it as something I would see in my instagram feed and think to myself “I wish I could take photos like that”! It’s not even like it’s a super complicated photos or anything- I just like everything about this shot. I’d actually been watching the bar waiting for someone to order a drink so I could try to get a shot like this. This wasn’t at all staged and it turned out better than in my head (which believe me is hard to do)! I took loads of photos of this plate, from all different angles but I just wasn’t liking how most of them were turning out… and then at some point it occurred to me I was trying to be too creative here. I realized that which nachos it’s usually everything that’s loaded on top of the chips that make people want nachos, right? Sometimes it’s better to be more simple and show each component making up the plate than it is to be super artsy trying to shoot your next masterpiece. Getting action shots in the kitchen of chefs preparing foods is another thing I’m constantly envisioning myself doing a lot of. These are the shots where you can get more creative by showing more than just a stock food image. Every time I go to a food shoot I think about what sort of “accessories” I could possibly add to the photos to make them more “entertaining” to the viewer. Every time I look at this photo, and one the above, I just love everything about them both. But I also wonder how I could make the shots even more interesting. This is another instance where I took loads of various shots- trying to figure out which background I liked best, which angle looked best, what the focus of the dish should be. I chose this one in the end because after all… it was a beautiful day on a golf course and the driving range (in the background) was nearly full. Also there was a ledge just the right size for this dish to sit on!